Capacity for disinfection is 166 GPM Constructed with 304 stainless steel Remote electrical enclosure (24″ long x 12″ deep x 28″ high) Type 316L treatment chamber (72″ long x 11″ deep x 23″ high). 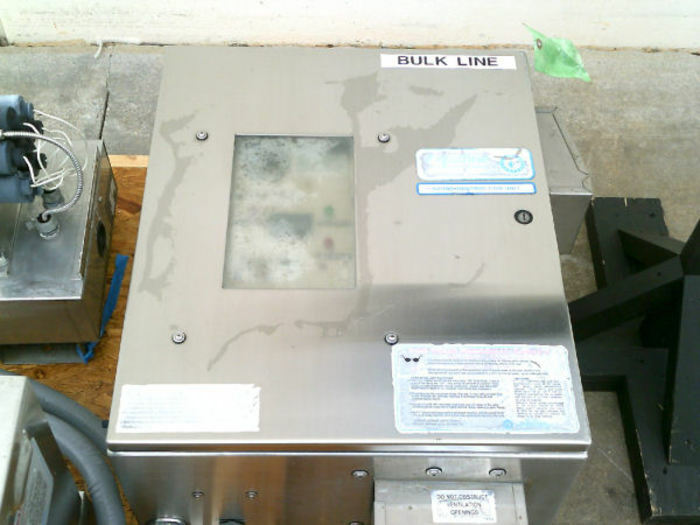 Capacity for disinfection is 166 GPM Capacity for clear fresh water and 200 gpm Capacity for distilled DI or RO water. (8) UV lamps with a UV dosage of greater than 30,000 microwatt seconds/cm2. Operating pressure up to 120 psi. 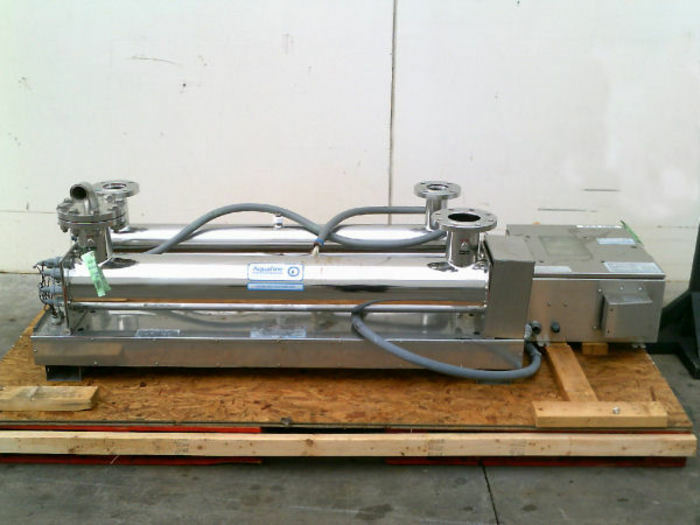 Unit has 4″ flanged connections with 3″ tri-clamp adaptors. Total current draw is 6.5 amps at 120 volts. Unit weight approximately 291 lbs.